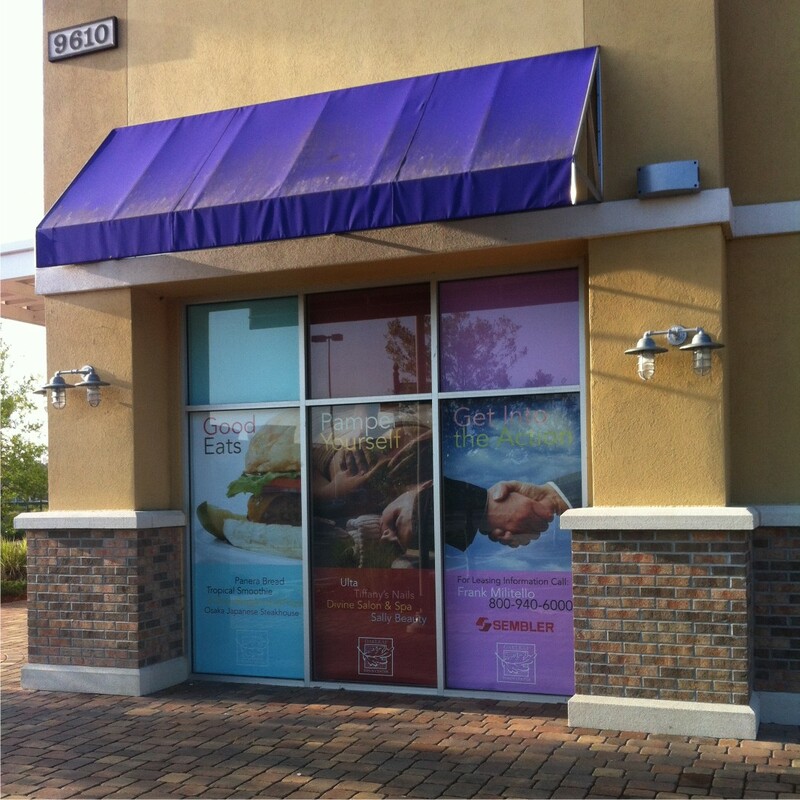 Retail Environmental Window Graphics – OakLeaf Towncenter in Jacksonville Florida. 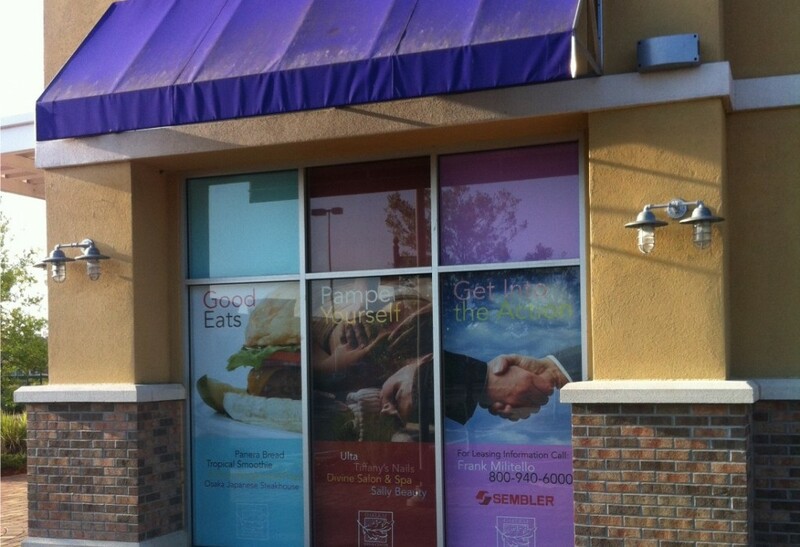 These are 10mil plastic printed panels used and rotated around as needed on vacant stores to help promote the others within the area. They also make a very nice presentation rather than a blank interior space.